When you are trying to downsize your life being able to barter a skill with another person is a money saver and a way to find a part time job. It may be that you are looking for a tradesman for a small job in your home and discover that he is in need of using your skills. You come to an arrangement whereby you both get those jobs done and it doesn’t cost you a penny. Brilliant – we could all do with saving money like that and it could be the start of a new bartering industry in your area. However there are a few points to remember. If you are self employed you must declare all takings to the tax man. Like for like bartering may seem a good idea but your personal tax and business accounts must be taken into account. Get advice from your accountant and the tax office. As you are offering a service, whatever the payment arrangement you must have some form of public liability insurance. Make some sort of contract with the person you are skill swapping with as the skills you barter may be of different values. If you are thinking of using barter to get work done around your home purely as a do it yourself venture then you should advertise for other like-minded people to join you. 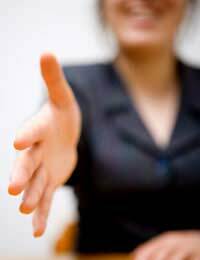 With a variety of skills to barter you could soon have a small barter industry set up within your community. By letting people in the area know of your plans to set up a barter group whereby you will swap skills and knowledge you will be surprised how many people wish to take advantage of the shared skills on offer. Let your local newspaper know of your plans and put cards in newsagent’s windows and soon people will be in touch keen to swap details of their skills and find out more about your plans. Keep a list of all the skills that members can offer such as decorating, electrical work, cooking, housekeeping, dog walking, giving lifts to those who cannot drive and gardening. Make sure that only those who have joined your group are part of the scheme for security purposes. In babysitting circles members use credits when they need a babysitter and these are swapped between members. By giving (say) five tokens to all members they can use them to barter for the service they need from another member that way money doesn’t change hands although some skills will involve materials and rules must be made about that. You may have groups such as Age Concern and the Volunteer Bureau within your community. Notify them of your plans to set up a barter group. You may well find they are not only interested in your plans but can help set up and advertise the scheme. By taking time to plan your barter group sensibly it could not only lead to making lots of new friends in the community but to saving money in your home as well.